Shangri-La International Hotel Management Ltd has recently rebranded Shangri-La’s Traders Hotels into Hotel Jen, with the aim of catering towards a new ‘Jeneration’ of independently minded business and leisure travellers. “The Hotel Jen experience delivers what matters most to guests with a millennial mind set. They appreciate important things done well; demand quality, comfort and value, together with honest, authentic service; and want privacy and efficiency without unnecessary fuss or intrusion,” said Greg Dogan, president and CEO of Shangri-La Hotels and Resorts. By March 2015, ten Hotel Jens will have opened in major cities throughout the Asia Pacific. 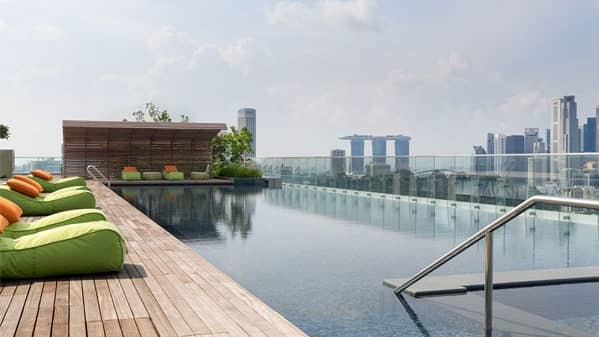 The first hotel to open as part of the initiative is the Hotel Jen Orchardgateway in Singapore. Stress-free ease and simplicity are central to the new brand and is reflected through an informal and friendly check-in, stay, check-out and on-going contact. The Hotel Jen brand is inspired by the virtual persona Jen, a professional hotelier who loves life, travel and the adventure of discovering new places. During their stay, guests are positioned and treated as ‘friends of Jen’. Here, a strong sense of belonging is created though the hotel’s friendly and enthusiastic service style. Guests may choose to use the hotel’s staff as their personal local lifestyle guides, providing recommendations and advice on dining options and suitable destinations that fit their personal needs and interests. Technology is also key to the new brand with free WiFi access and several, convenient mobile charging stations in order to cater towards the highly social and tech-savvy hotel guests. The new brand also provides several dining options, including a free coffee/ snack-box-to-go after breakfast, grab-and-go kiosks and restaurants with menu’s centrally focused on fresh local produce. 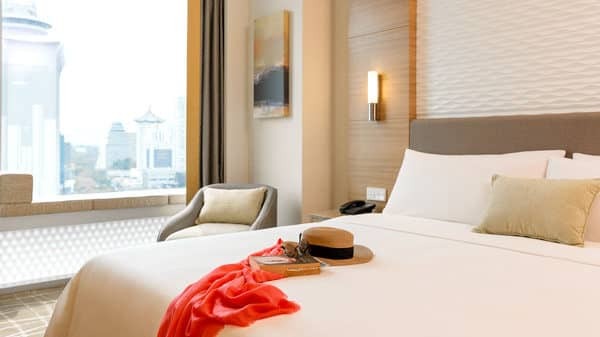 In the first phase of the Hotel Jen roll-out, the Traders Hotels in Singapore, Hong Kong, Brisbane, Penang, Johor Bahru, Manila, Maldives, Beijing and Shenyang will be rebranded to Hotel Jen from September 2014 to March 2015. Future Hotel Jen development projects are under discussion in key gateway cities in South East Asia. For more information and reservations visit the Hotel Jen website at www.hoteljen.com.